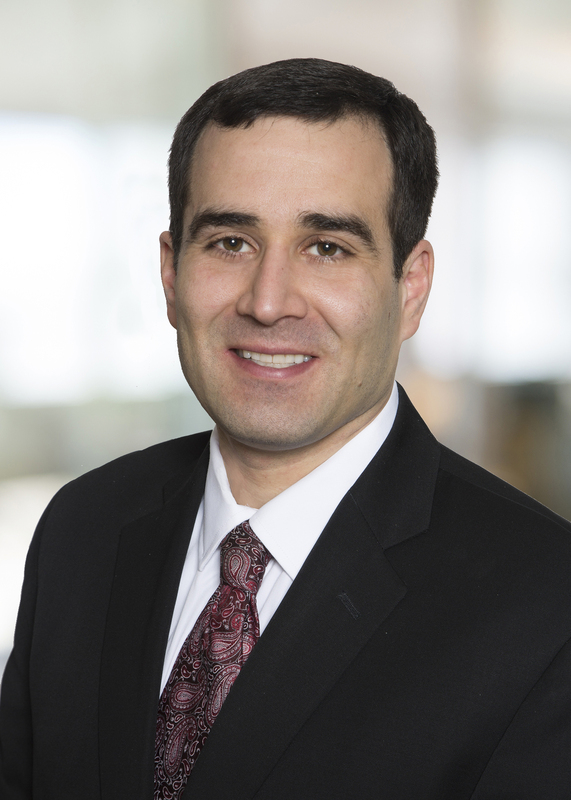 Luke is a partner in the Firm’s Trusts & Estates, Business Law, and Tax Departments. His practice includes designing estate plans and preparing estate planning documents; structuring tax efficient transaction and advising clients on the tax effects of proposed transactions; preparing corporate documents and representing businesses in sales, acquisitions and mergers; and representing parties in tax controversies and collection matters, including domicile audits, sales tax audits, income tax audits, requests for innocent spouse relief, and offers in compromise. Luke also represents clients before the Connecticut Probate Court as well as the Connecticut Superior Court in probate matters, including guardianships and conservatorships, and before the U.S. Tax Court and U.S. District Court in tax matters. Moderator, “Connecticut Tax Update with Commissioner Scott Jackson,” Fairfield County Bar Association and Connecticut Society of CPA’s, October 24, 2018. Moderator, “Tax and Ethics Panel,” Federal Tax Institute of New England, October 18, 2018. Speaker, “Civil Tax Non-Compliance for Decedent’s Estates,” Probate Section of the Connecticut Bar Association, October 1, 2018. Speaker, “Estate Inventories and Satisfying Creditor Claims,” National Business Institute, September 25, 2018. Speaker, “Tax Cuts and Jobs Act of 2017 and State Responses to the Act,” Westchester County Chapter of the New York Society of Independent Accountants, June 14, 2018. Speaker, “Tax Cuts and Jobs Act of 2017,” Connecticut Bar Association’s Annual Conference, June 11, 2018. Speaker, “Income Taxation of Trusts and Structuring Marital Trusts,” National Business Institute, June 7, 2018. Speaker, “Marshaling Assets and Handling Claims Against Estates,” National Business Institute, May 17, 2018. Moderator, “Tax Ethics Panel,” Tax Section of the Connecticut Bar Association, May 9, 2018. Speaker, “Tax Cuts and Jobs Act of 2017,” Fairfield County and Westchester County Chapter of the International Fiscal Association, April 26, 2018. Speaker, “Income Taxation of Trusts,” Halfmoon Education, Inc., December 7, 2017. Moderator, “Ethics Issues for Tax and Estate Planning Attorneys,” Federal Tax Institute of New England, November 10, 2017. Speaker, “Business Succesion Planning,” National Business Institute, June 26, 2017. Moderator, “New Partnership Audit Rules,” Connecticut Bar Association, June 12, 2017. Speaker, “Creditor Claims Against Estates,” National Business Institute, May 15, 2017. Speaker, “Tax Deductions for Donations of Conservation Easements & Donations of Real Property,” May 3, 2017. Speaker, “The Ultimate Guide to Probate,” National Business Institute, December 6, 2016. Speaker, “Connecticut Estate and Income Domicile & Residency Audits,” Federal Tax Institute of New England, November 18, 2016. Speaker, “Internal Revenue Service’s Section 2704 Proposed Regulations,” Tax Section of the Connecticut Bar Association, October 19, 2016. Speaker, “Cancellation of Indebtedness Income,” Annual Meeting of the Connecticut Bar Association, June 13, 2016. Speaker, “Representing Clients in Civil Tax Collection Matters,” New York Society of Indepedent Accountants, June 18, 2015. Speaker, “2014 Connecticut Tax Law Changes,” New York Society of Independent Accountants, January 6, 2015. Speaker, “Everything You Wanted to Know About Choosing a Business Entity and Starting a Business from the IRS/ DRS Perspective,” Fairfield County Bar Association, December 9, 2014. Speaker, “The Connecticut Model Entity Transaction Act,” Connecticut Society of Certified Public Accountants, September 18, 2014. Speaker, “Tax Aspects of Cross Entity Mergers and Conversions,” Connecticut Bar Association, March 21, 2014. Author, “The Use of Beneficiary Defective Trusts in Modern Estate Planning,” 48 A.B.A. REAL PROP. TR. & EST. L.J. 353 (2014). Speaker, “Tax Considerations in Choice of Business Entity,” Connecticut Bar Association November 15, 2013. Speaker, “The Use of Beneficiary Owned Trusts and a Comparison of Such Trusts to Alternate Estate Planning Vehicles,” Connecticut Bar Association’s Tax Section, March 20, 2013. Author, “The Survival of Universal Health Care in Massachusetts,” 32 W. NEW. ENG. L. REV. 141 (2010). Your e-mail to this individual should not contain any confidential information and should be for general information purposes only. An attorney-client relationship will not be created by your e-mail to this individual. Information in your e-mail may not be entitled to any protections commonly associated with communications with attorneys. If you are in doubt about any information, please exclude it.